There are two things that are generally said about milk. One is that it is a near-perfect food, considering that it contains vitamins, minerals, proteins, fats, carbohydrates, and water. The other is that it is an excellent medium for the growth or development of many microorganisms. But when this second reference to milk is made, it is almost always that people have in mind the unwanted attributes of microorganisms. In the dairy industry, however, there are useful applications of microorganisms. Production of dairy food products, such as cheese, butter, and fermented milk, are in fact made possible with the help of microbial activity. In producing fermented milk for example, the normal lactic acid-producing organisms present are allowed to grow; or fresh milk is inoculated with a portion of good-quality fermented milk. All fermented milks are made by cultivating certain lactic acid organisms (often referred to as lactic cultures) in milk. The main differences in the making of the different fermented milk products relate to three factors: the kind of organism which make up the lactic culture, the incubation’s temperature, and the kind of milk to be fermented. 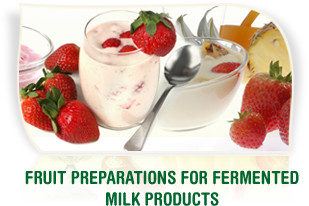 Much information has been passed around about yogurt and cultured buttermilk, two very popular fermented milk products. Here, though, the important features of three other similar products – Acidophilus milk, Bulgarian milk, and Cultured sour cream – are taken up. Acidophilus milk is made through the propagation of the microorganism Lactobacillus acidophilus. Inasmuch as this microorganism is easily overgrown by contaminating microorganisms, both the bulk milk to be fermented and the milk to be used for the propagation of the said microorganism are sterilized. The temperature for incubation is at 37 degrees Celsius, and acidity is allowed to develop to about seven-tenths percent. Bulgarian milk is produced by means of the propagation of the microorganism Lactobacillus bulgaricus. Milk, usually pasteurized skim milk, is inoculated with this microorganism, and fermentation is allowed to continue until the desired acidity has been reached. Incubation of the inoculated milk is at 37 degrees Celsius. Cultured sour cream is manufactured in much the same way as how Bulgarian milk is made. Streptococcus lactis and Leuconostoc citrovorum are the principal microorganisms responsible for fermentation in this product. Both these kinds of microorganisms also contribute aroma and flavor compounds. The bulk cream is inoculated and incubated until the desired acidity is obtained. Milk fermentation is a method long developed primarily to preserve milk and, much later, to create new beverages with distinctive and desirable flavors. In fact, several fermented milk products had been around long before many of the various kinds of microorganisms were discovered.